Since last spring when I missed Chromeo play the sold out show at the Ogden, I have been anxiously awaiting the dance party that Chromeo is. 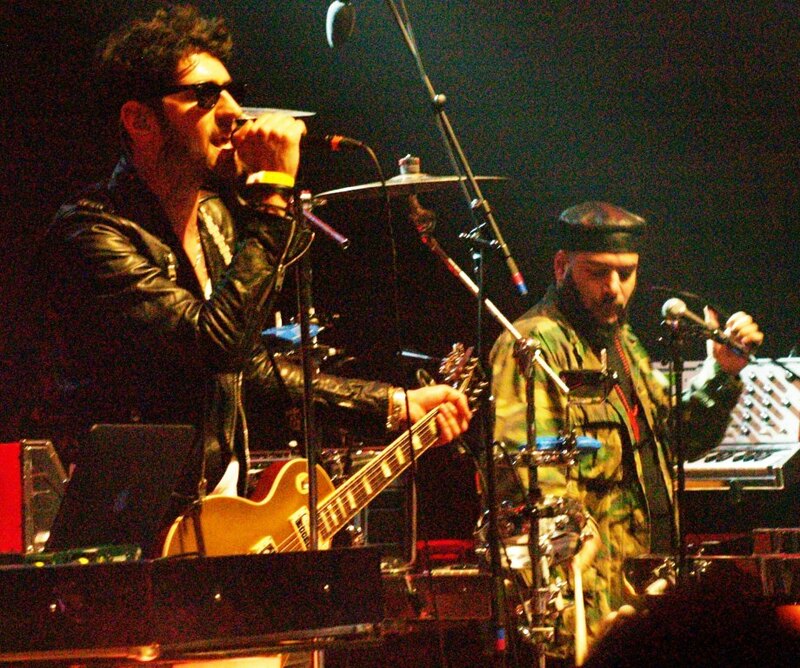 For those of you that do not know, Chromeo is self-described as the “only successful Arab/Jewish partnership since the dawn of human culture.” This is because P-Thugg, whose real name is Patrick Gemayel was born in Lebanon and plays keyboards, synthesizers, and the talk box, and Dave 1, whose real name is David Macklovitch, plays guitar and vocals have been friends since childhood. 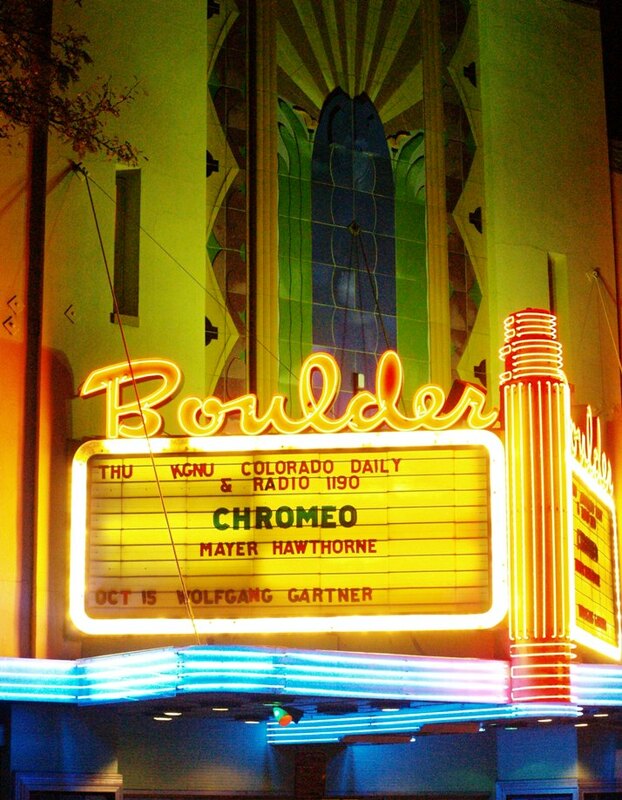 Their dance party themes and electro-pop anthems truly kick off a room, and where better to see them then the Boulder Theater? I love that room, and I was really excited for a night of dancing with a sold out crowd. When I got there, there were tickets everywhere outside and a lot of people complaining about the high ticket prices. After all, tickets are expensive nowadays, especially for marquee acts, but this one seemed worth the $45. The duo opened with the most popular and best song, “Fancy Footwork.” They wasted no time. Their designer name plate hung from the front of the stage, and the two got on stage and blew it up from the start. This song, as the title track from their second album, was what brought them mainstream acclaim. It is hot! People went electric, and the party was underway. Then didn’t let up on the next songs either with “I’m Not Contagious,” “Outta Sight,” “Tenderoni,” “Call Me Up,” and “Opening Up,” which mostly come from their Fancy Footwork album. The next song, “Hot Mess” off of their newest album Business Casual seemed to bring a second wave pop into the crowd’s step. This is one of my favorites as well. This electro retro 80’s sounding pop song definitely reminds me of Hall & Oates, Klymaxx, and Sylvester put into a blender with an 80’s adventure drama television show. You can feel the mystery. After “Waiting 4 U,” another one of my favorites blasted out of the syth. “Bonafied Lovin’ (Tough Guy)” makes every man confident. It’s one of those songs that perks up a man’s libido, and draws the ladies near. After all, the poised Macklovitch and I do share one thing in common. We are both teachers that are currently enrolled in a PhD program. It is certainly a challenge, but escapes like these are what keep me going. I’m sure he would say the same. Okay, sorry I will come back to earth now. “When the Night Falls” and “You’re So Gangsta” tamed me because they are more mellow, but “Mama’s Boy” was funny, and then they threw back to the old school with one of their first big club hit songs, “Needy Girl.” “Night by Night” closed the long one set with another one of their best dance songs. For the record, if you are reading this, you should definitely watch the sultry video for this one. The four song encore started with “You Make it Rough” and “Don’t Turn the Lights On,” which is featured on two video games, FIFA 11 and Dirt3. 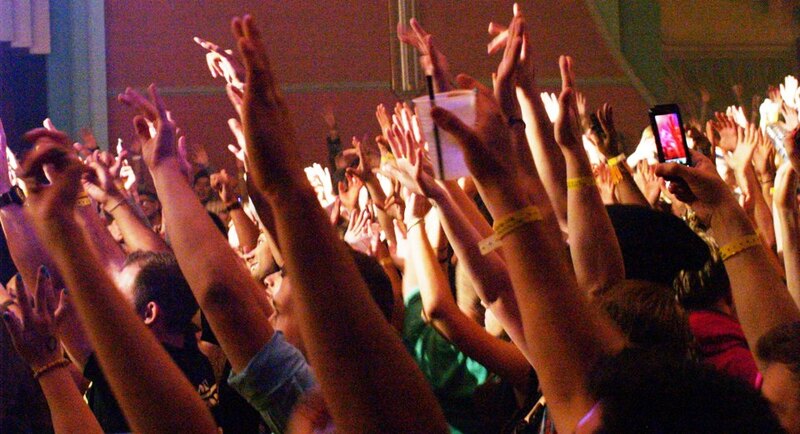 The fan base is increasing at a rapid rate after being on almost every late night show and playing many major festivals including Bonnaroo with Daryl Hall in 2010. This catchy song is amazing. “Don’t Turn the Lights On” has the perfect potential to be a major hit for radio. Every pop and electronic station in the country should jump all over this while they can. “Grow Up” was okay, and then the DJ Mehdi cover “I am Somebody” ended the sweaty fun. If you have never heard of Chromeo, and you like 80’s sounding electo pop fun dance music, it is a must see. Everyone who left the show was buzzing about how much they danced. It is a truly throwback fun time with an electric duo.